Is your child overly shy, worried, fearful, or sensitive? If you answered yes to any of these, then this program is for you ! For parents and caregivers with children aged from 3 – 6 years old who have developed, or are at risk of developing, an emotional disorder. Contact Thrive Services on 4782 1555 to secure your place. 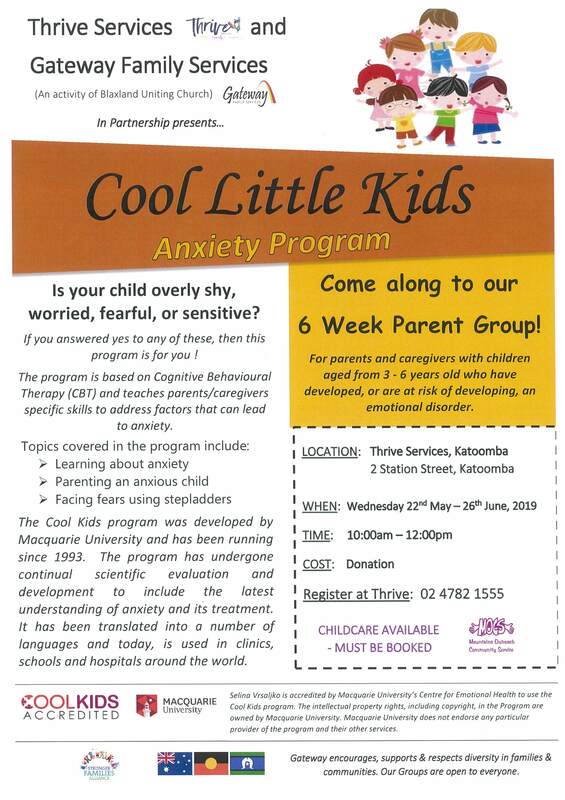 The program is based on Cognitive Behavioural Therapy (CBT) and teaches parents/caregivers specific skills to address factors that can lead to anxiety.